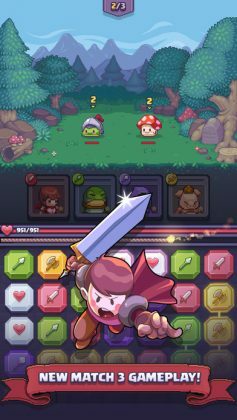 Are you a fan of super cute puzzle games where you smash critters your instincts will tell you – you are probably supposed to be saving? If so, today we’ve got an interview you won’t want to miss…! Today we would like to share with you our interview with the Race Cat Team, the developers of Match Land. Check out our original review here. Before we start, we’d like to thank the Race Cat Team for participating in our interview, and for spending some of their valuable time answering our questions. Thanks guys! Ok first up, why did you decide to make Match Land? 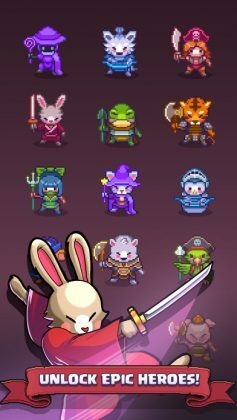 My friend and I, who had both made solo games beforehand, decided to partner up and make something much larger and more ambitious than our previous titles. 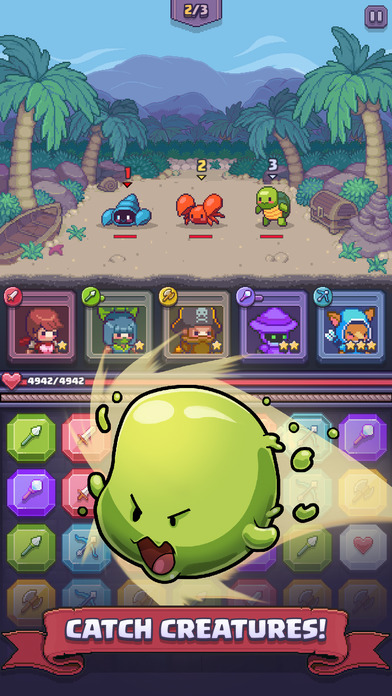 Why did you decide to use such cute pixel graphics in Match Land? Although we have seen many puzzle-based battle systems, Match Land may be the first game we’ve seen with unlimited planning time. This is great, as it gives non-puzzle gamer’s a chance to plan ahead before making a move. Was this a carefully planned feature, or something that just happened to make it into the final game? We never thought about not giving the player unlimited time between turns. 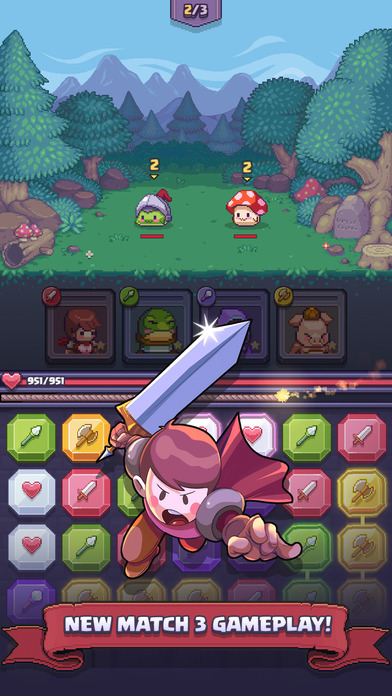 This is similar to games like Puzzle & Dragons. We find ourselves playing games more if they allow us to continue our daily life while playing. I love making food (real food, not blob soup) while doing Match Land battles. 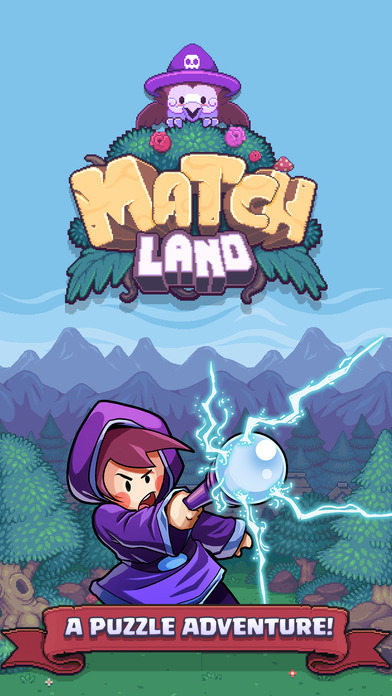 What programming language and or software did you use when making Match Land? We used Unity and code in C#. Ok, here is a difficult question. What was the hardest problem you needed to overcome when developing Match Land? This was overall an extremely difficult game for us to make, design-wise. We scrapped so much of the game and would start over repeatedly because things weren’t working right. For example, we started the game with a single restaurant tower concept where each floor had its own chef and food theme. You’d build upwards like Tiny Tower. That’s a very difficult question! I’d say with this title it was more referencing parts of other games we knew we loved and putting them together to build something larger. 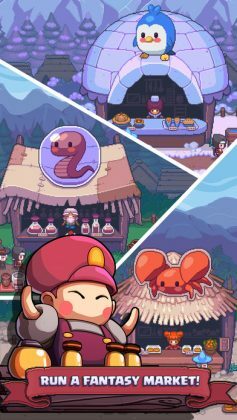 I’m a massive SNES fanboy so I’m always listening to super Mario RPG or Secret of Mana music which puts me in a mood to imagine pixel gameplay. A few words to Match Land fans on Edamame Reviews. I want to say a deep thank you to anyone who plays our game and supports what we do, even in the tiniest of ways. We plan to update Match Land for all of 2017 and likely beyond. We have some big features coming, the first being a daily arena where you battle in an endless type mode (separate from your normal energy) for special rewards! It should be out around June. To be honest I had never heard of Edamame Reviews before you contacted me but I find your website beautiful and loved your Match Land write up  I’ve bookmarked the site and will visit it from now on! Love our interview with the Race Cat Team? Why not give Match Land a try?